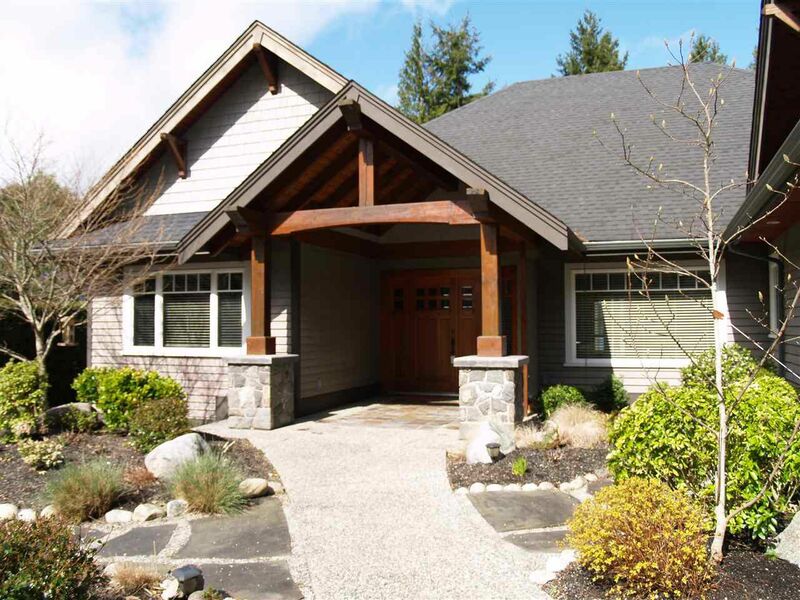 This amazingly elegant sprawling rancher style home built by Dave Hutt (renowned local builder) is on a large .77 acre point of waterfront property in "The Shores" in Sechelt. This home is in mint condition ready to move in with 5 bedrooms (2 upstairs) and 4 bathrooms, a stunning kitchen with antique beige cabinet doors sitting above wood floors and granite countertops. There is a lovely brushed aggregate patio facing the ocean and walkway to hot tub and meandering path to the waterfront. 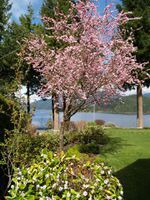 The home is set back in a very private setting from the street and is only 4 minutes to the golf course and 8 minutes to downtown Sechelt or 6 minutes to the float plane. This is a must see! Call listing agent for your personal viewing.